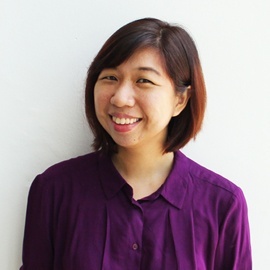 Monkey 'SEA', Monkey Do – Our fave concepts this CNY! As we approach the tail end of the first 15 days of the new lunar year, the Chinese New Year (CNY) campaigns are finally put to rest for yet another zodiac cycle. 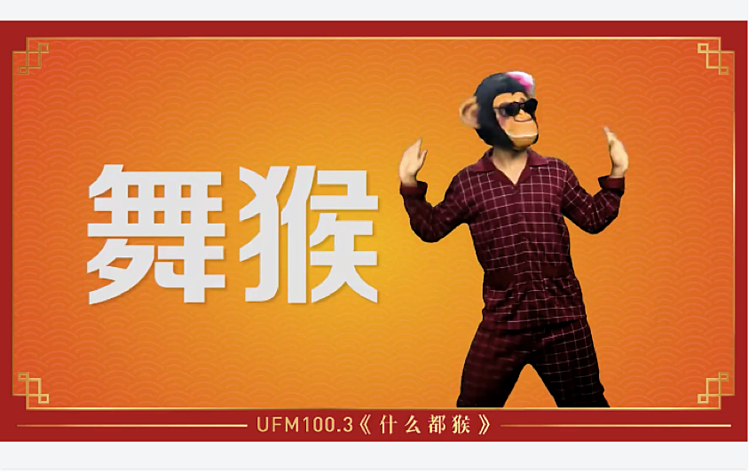 Local Mandarin radio station UFM 100.3 can’t be faulted for monkeying around. They released a catchy video featuring their DJs (and two chimpanzees in… pyjamas) titled ‘什么都猴’ or ‘May everything be Hóu’ – the ‘hóu’ being a play on the Cantonese word for ‘good’. This even branched out into a competition for listeners to submit their own dancing videos. A fun, quirky way to bring out the lively vibe a monkey is known for! The heading of Jetstar Asia’s email newsletter alone was enough to make us smile. According to the Coxford Singlish Dictionary, ho-say is ‘a Hokkien exclamation denoting satisfaction, or enthusiastic endorsement’. While we ‘enthusiastically endorse’ the use of dialect puns, we would probably draw the line at merging it with an English word (i.e. hou-liday). 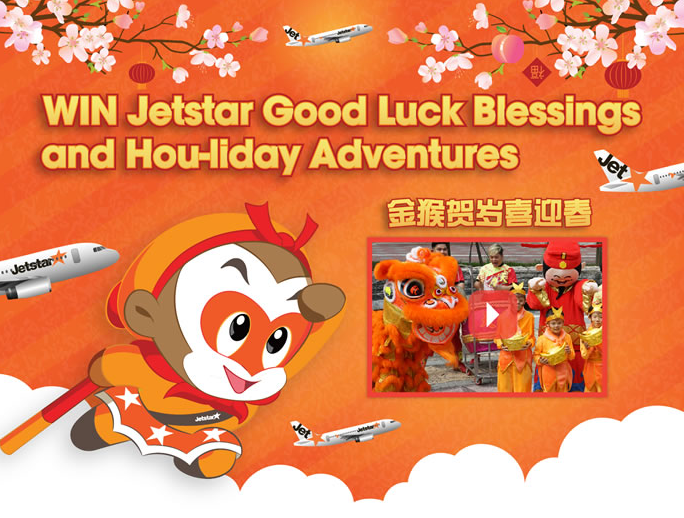 Technicalities aside, we like hóu (how) Jetstar brought good fortune to the doorstep of lucky winners in their ‘Jetstar Good Luck Blessings and Hou-liday Adventures’ campaign, by sending the ‘Good Luck Troupe’ – an entourage consisting of a lion dance troupe and 4 adorable ‘lil ‘monkeys’ – over for a visit. Hou-huat indeed! This concept was a total win at first sight! 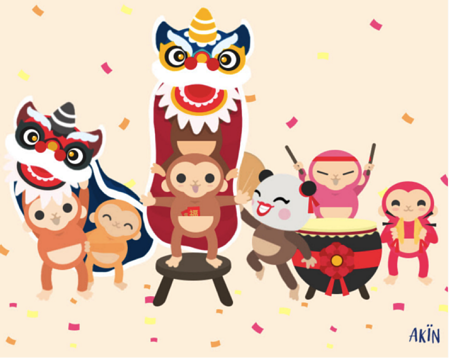 RWS’s Gong SEA Fa Cai campaign seamlessly integrated the CNY concept into the very heart of what they do, through a strategically crafted and aesthetically pleasing core graphic that is adorable to boot. The focus of the graphic certainly reminds us of our favourite Monkey God; intentional or not, it made for a clever campaign indeed, considering Sun Wukong’s affinity with the sea. From all of us at akïn, may the Year of the Monkey be one of reaching greater heights in everything you do. Enjoy the last few days of feasting and collecting red packets!